ACROSS the globe, not a day goes by that some form of Jihad isn’t perpetrated by Allah’s Muslim Terrorists. Fact-based. So much so, attempting to keep up with their murderous rampages feels like whiplash – if not physical, well, mental. Battle fatigue. SO anyone who continues to opine that Islam is a “religion of peace” is either mentally deficient, a Jihadi sympathizer, or a combination thereof. Therefore, just step over them. Besides, this is no time for niceties! And have no doubt: Reality-based thinking is half the battle, and it is this awareness which will aid in the process of stopping Mohammedans in their tracks. Simply put, wherever (and whenever) they can lay waste to “infidels” they will do so – and without hesitation, unless a hyper-vigilant patriotic public thwarts them. As to officialdom, that ship has sailed because they have proven to be tone-deaf. Useless. Toothless. IN this regard, before the ink was dry, so to speak, on the most recent commentary analysis re Islamic Jihad and its cancerous effects within America, along comes another Jihadi terror explosion in NYC – with the ubiquitous follow-ons by the Brotherhood Mafia’s mouthpieces! Go figure. Back in July 2012, a few weeks into the inception of this site, a highly trusted contact advised it would be worth the time/effort to explore the above issue. Based on the level of insistence from the aforementioned contact – an investigator with a wealth of experience – it soon became clear that it was a subject which required immediate attention! Thus, Jihad Via Arson: As Fires Rage, Here (in Israel), There (in the U.S.), A Fatwa On Our Heads became this blog’s starting point. It was given a heads up. The go ahead. A few months later, October 13, 2012 to be exact, Islamic Wildfires Coming Full Circle: To A U.S. Forest Near You made its debut. Not to be lost in the discussion, “Fire Jihad” is a non-stop terror tactic within Israel. NO one should dare to forget their Jihadi handiwork back in December 2010, as the Carmel mountain ridge Jihadi fires (though reported “accidental” – ostensibly due to an errant camper – “unofficial” reports beg to differ…but never mind, Israel’s poohbahs feign otherwise, pretending that the internal fifth column are akin to frisky Allah-loving boys scouts!) became the wildfire of all wildfires, creeping close enough to a nearest and dearest’s family home that they fled for their lives! This visual aid should clear through some of the smoke, you know, that which is often stuck between the ears of those who still insist that arson is not a real Jihad weapon. Hmm. Jihadi Exhibit Number One – Burning Priority: Catching Arab Arson Terrorists (August 10, 2012) emitted a clarion call, having cataloged the Islamic arsonists in Israel’s midst. Jihadi Exhibit Number Two – Piggybacked therein, Update: Burning Priority: Catching Arab Arson Terrorists was immediately documented. Jihadi Exhibit Number Three – Israeli Authorities (Finally) Get With The Program: Admit “Jihad Arson” Is Nationalistically Motivated. Well, what took them so long? Jihadi Exhibit Number Four – Around and round…July 2013 demonstrated their deadly handiwork, evincing a feeling of De’ Ja’ Vu: Arab Israelis CONTINUALLY Wage Jihad By Arson, as they, once again, burned Jewish land to the ground! How much clearer can it get? Hence, why stop at Israel’s borders? Indeed, Muhammadans don’t. Yes, the indicators consuming California/U.S. via “Fire Jihad” are crystal clear, as evidenced within: ARE TERRORISTS SETTING U.S. WILDFIRES?….. continue reading…. ALAS, fast forward to the current “wildfires” burning throughout southern California, and decide if “Fire Jihad” was the initial incendiary device. Or, as reported, if dry weather conditions and the like is the (natural disaster) culprit. Hmm. Of course, it certainly aids in the spread, and Allah’s Muslim Terrorists know it too! But never mind. Apparently, it has been decided that it is best to keep citizens blinded by the smoke! 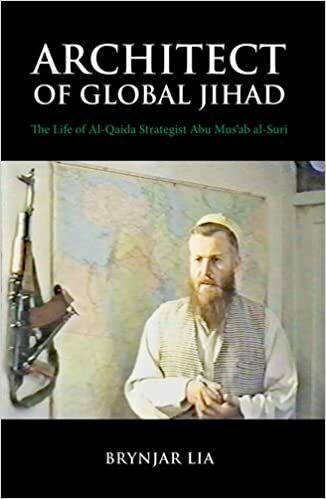 REGARDLESS, in light of the fiery evidence cited above, a clearer understanding of what the west faces can be found within this explosive book: Architect of Global Jihad: The Life of Al-Qaeda Strategist Abu Mus’ab Al-Suri! TO wit, to internalize the depth of the danger(s), and the interrelationship between seemingly disparate Jihadi acts, segue to the latest explosion in NYC. Bangladesh native Akayed Ullah taunted President Trump in a Facebook post minutes before igniting bedlam with a botched bombing in New York City’s crowded Times Square transit hub at rush hour, authorities said Tuesday. “On the way to carrying out the December 11 attack, Ullah posted a statement on his Facebook account that stated, ‘Trump you failed to protect your nation,'” according to a federal court complaint filed by Special Agent Joseph Cerciello with Homeland Security Investigations and the FBI’s Joint Terrorism Task Force. The five-count complaint charges the Brooklyn resident with bombing a public place, use of a weapon of mass destruction, providing support for the Islamic State, destruction of property by fire or explosives and use of a destructive device in furtherance of a crime of violence. Ullah began searching the Internet about a year ago for information about building improvised explosive devices, the complaint charged. Federal investigators who searched the accused terrorist’s Brooklyn home recovered material that potentially could be used to produce other bombs. The list included metal pipes, pieces of wire and fragments of what appeared to be Christmas tree lights and multiple screws consistent with the screws found at the bombing scene. Also found was a passport with the name Akayet Ullah that featured multiple handwritten notations, including “O AMERICA, DIE IN YOUR RAGE,” the complaint alleged. Lee Francis Cissna, director of the U.S. Citizenship and Immigration Services, also cited issues with the visa lottery at a White House press briefing. “Because the criteria are so low, either you have no education at all and very little skills, or you have a minimum of education and no skills at all,” he said. “And because it’s a lottery, pretty much anybody on the planet who’s from a qualifying country can take advantage of this.”…. The federal government plans to resettle 45,000 foreign refugees in fiscal 2018, and there are tens of thousands of other Third Worlders who have applied for various visa programs. From Bangladesh alone, there are 175,000 migrants on the U.S. State Department’s immigrant visa waiting list, according to a report by the Center for Immigration Studies. And 94 percent of them are in the siblings chain migration category that allowed Ullah to migrate to the U.S. in 2011….continue reading…. NOW, if one is living in a parallel universe, then, the importation of so-called refugees should continue apace. If not, the core question is: How many Muhammedans are considered too many to admit into the homeland? Besides, does “better safe than sorry” even resonate? WHILE the nation is attacked, once again, by Allah’s Muslim Terrorists, what exactly did the so-called “moderate” mouthpieces from the Brotherhood Mafia, CAIR, have to say? 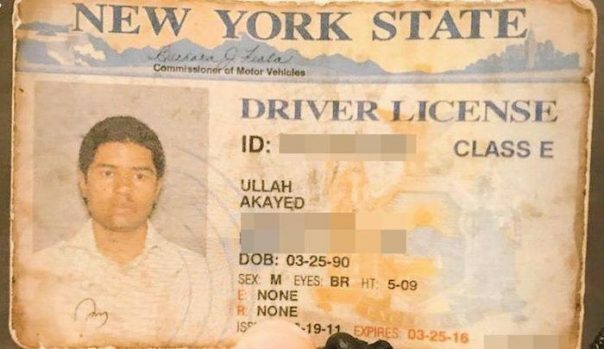 A lawyer from CAIR New York who says he represents the Muslim immigrant family of Akayed Ullah, the alleged New York subway bomber, has reportedly slammed the city’s fast-track investigation into the jihad attack on commuters….continue reading….and learning about the Islamic enemy within. EVEN so, few should be shocked by the response of Albert Fox Cahn (the legal Director of CAIR New York, who happens to be the toady “Jew-boy” – one of several – who is used as a fig-leaf to protect their Islamic thrust) because their mask was more than ripped off at Joe For America in July 2015: FBI Now Monitoring American Patriots: CAIR Reporting To Agency! ALONG this same Jihadi trajectory, let’s head to the actual DECLARATIONS OF WAR from the Brotherhood’s mouthpieces! In the name of Allah the MercifulWe are for the victory of our messengers, and for those who believe in this life. DESPITE the obvious, the “press” was hardly awakened. Besides, do pigs fly?? REGARDLESS of this or that Orwellian doublespeak, Trump can no longer ignore the obvious. Resultant, he must finally execute his due diligence: DECLARE the Muslim Brotherhood Mafia a domestic (and foreign) terror org., as per Congressional Bill S.68!! 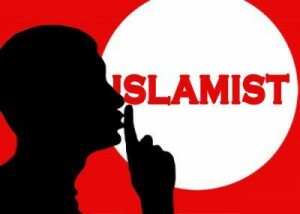 MEMO to the patriot community within America: If Islam’s march continues apace, what has been revealed at these pages – and what you think you know Muhammadans are capable of – will be proven to be less than a “drop in the bucket.” Simply, genocide awaits. Its Sharia Law mandated basis is NOT restricted to the hotbeds in the Middle East, etc. Islamic Jihad is border-less and for all time. One month after Islamic militants bombed two Egyptian churches during Palm Sunday and killed nearly 50 people in April 2017, on Friday, May 26, several SUVs stopped two buses transporting dozens of Christians to visit and pray at the ancient Coptic Monastery of St. Samuel the Confessor, in the desert south of Cairo. According to initial reports, about ten Islamic militants, heavily armed and dressed in military fatigues, “demanded that the passengers recite the Muslim profession of faith”—which is tantamount to converting to Islam—and when they refused, the jihadis opened fire on them, killing 29 Christians, at least ten of which were young children (including two girls aged 2 and 4). Mohsen Morkous—an American citizen described as “a simple man” whom “everyone loved”—his two sons, and his two grandsons were among those killed. According to more detailed accounts based on eyewitness testimonials, the terrorists ordered the passengers to exit the bus in groups; “as each pilgrim came off the bus they were asked to renounce their Christian faith and profess belief in Islam, but all of them—even the children—refused. 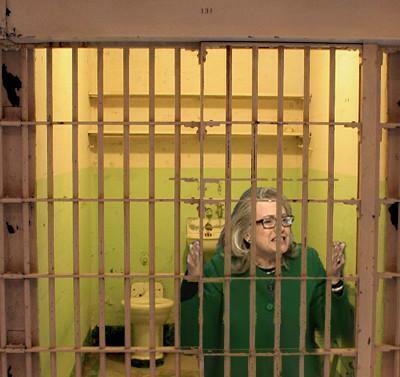 Each was killed in cold blood with a gunshot to the head or the throat.”….continue reading…. TELLINGLY, over the years, this site reported on the stepped-up genocide taking place against Christians in the Middle East (and parts of Africa) by Allah’s Muslim Terrorists, with nary a ripple being heard from the so-called MSM, nor from officialdom. How can this be? BE that as it may, rest assured, every Christian in America will be in their cross hairs. Of course, it goes without saying, Jews will be hunted down alike – in the same fashion in which they are continuously targeted in Israel. Mind you, Erdogan, Turkey’s Islamist leader, just threatened to wipe out all Jews! ALL of which brings us full circle, and back to the obvious: What part, if any, will each and every patriot play to ensure that the very same genocide doesn’t occur in America? But for those who refuse to believe that it can happen within the all-powerful U.S.A., this Muslim Brotherhood expert would remind each and every “Doubting Thomas”: For crying out loud, how many thought that Islam’s barbarians would have been capable of bringing down the Twin Towers?? Again, the “drop in the bucket” analogy applies, as to what awaits. FOR all of the above, and so much more, is there any conceivable reason to stand down, let alone to remain silent, before the real sh-t-storm arrives?